Information primarily for our data collectors can now be found at the Data Collector Portal. 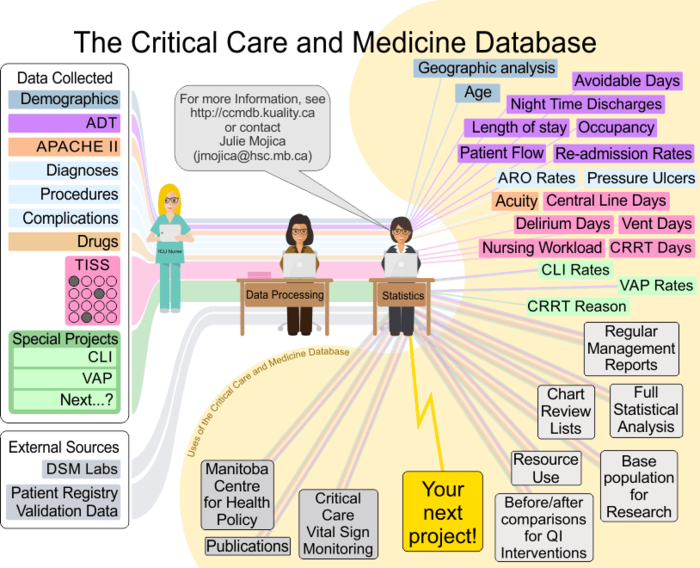 Welcome to the Regional Critical Care & Medicine Information Management & Research Database Program CCMDB wiki. This wiki is now at 4,518 articles and the easiest way to find information is to use the "search" bar on the left side. If you work for our program, or are a collaborator, you can get access to edit this wiki by contacting Tina Tenbergen. If you have access to edit, see Category:Wiki use for more info on how we use our wiki; we use it as a communication tool as much as a documentation tool. This page was last edited on 2019 March 4, at 13:23.